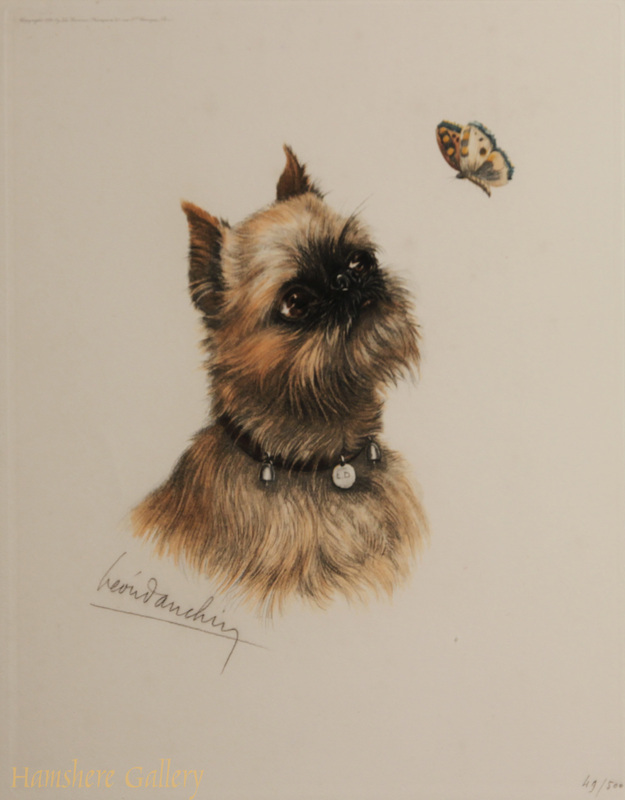 Pastel of a Griffon Bruxellois by Leon Danchin (French, 1887-1938). Head study in pastel of a Griffon Bruxellois by L�on Danchin (1887-1938). Signed in pencil "L�on Danchin" and dated "1921". This is a study for the famous series of lithographs of the breed published by Devambez et Associes the publishing house of 43 boulevard Malesherbes, Paris. Danchin entrusted Edouard Devambez and his partner Georges Weil to publish his work from 1925 to 1932, with the lithographs usually limited from 300 to 400 editions. For the lithograph series Danchin added such insects as a butterfly or bee. French, circa 1921.